In genre terms, Alfonso Cuarón's Gravity has been described as a pure science fiction movie. It's not based on a true story, and it instead tells a fictional tale that (more or less) takes place within the bounds of what is possible with current scientific advancements. From a personal point of view, I'd say it's more of a survival horror movie, and that it's squashed any infinitesimal aspirations I had to go into space. 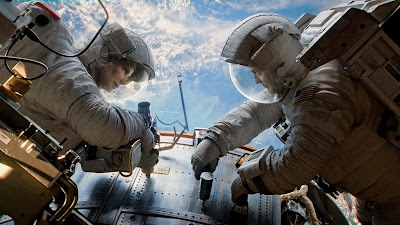 The film is essentially a two-hander, between Sandra Bullock and George Clooney, which takes place following a disastrous maintenance mission on the Hubble Space Telescope. Bullock plays Ryan Stone, a specialist who only has six months' space training under her belt, and the support of Clooney's more experienced astronaut, when the two of them are left spinning around in orbit of the Earth. With oxygen running low, and every option of escape becoming more and more remote, how can they possibly survive? I was recently staggered to learn that films like Flight and The Grey, with their intense airborne disaster sequences, are included in in-flight movie packages on some airlines. It has also made me wonder if Gravity will feature, once Richard Branson gets that commercial space airline going. It wouldn't particularly concern me, because from the opening statement- "life in space is impossible"- this film had me convinced that I never need to leave this planet. Space can go and get fucked, as far as I'm concerned. It's not like I had a space holiday in mind, but first and foremost, the film does a great job of making this all look frighteningly possible for the characters concerned. The accident that causes everything to go wrong involves debris from an exploded Russian satellite, orbiting the Earth at great speed; a catastrophe which scientists have said would make space exploration impossible for a few decades, if it ever happened in real life. I think the filmmakers may be asking for trouble by shutting off willing suspension of disbelief, and it may not freak out others as much as it freaked me out, but it sets itself far apart from other slapdash Hollywood sci-fi flicks. While Bullock has never been in a film like this before, (though it's tough to think of another film quite like this) she's on world-beating form, every line of dialogue and panicked breath building her character to where you easily forget her as a romcom darling. Clooney is only slightly more acquainted with this territory, if you remember Steven Soderbergh's remake of Solaris, but his usual leading man status lends to a powerful turn in his talky supporting role too- the fact that he's more likely to be a Buzz Lightyear than a helpless astronaut works to reassure and confound the audience's expectations in turn. Elsewhere, the film unequivocally meets the hype concerning its visuals. Space sure is pretty, even if you wouldn't want to live there. Like last year's Life Of Pi, this is the surefire winner of every Best Visual Effects award from here to Oscar time, full of dazzling visual innovations, which leave you gasping with that old, all-too-uncommon feeling of "How the hell did they do that?" 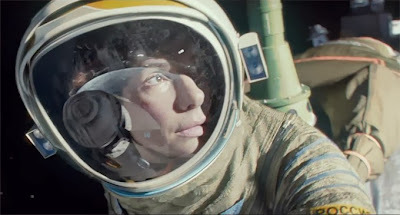 The film makes cracking use of Cuarón's predilection for tracking shots too, with the virtual environment lending itself to several intensely extended sequences. The unbroken 17-minute opening sequence has been hotly anticipated by the kind of film fan that gets excited over this sort of thing, and the result is no less potent or impressive than any of the in-camera shots from his Children Of Men. Emmanuel Lubezki's cinematography really captures the disorientation and agoraphobia of the scenario throughout the film. There are none of the sound effects that were thrown into the trailer to soup things up, because in context, the visuals are thrilling enough on their own. It's a terrifying and awe-inspiring piece of work, capped off at 90 minutes for maximum efficiency. "Astonishing feats in filmmaking" seem to come around annually, and awards season has the effect of making film fans blasé about truly extraordinary movies. 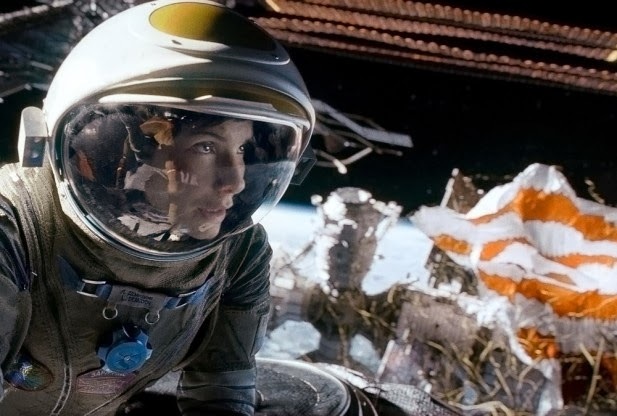 But Gravity is a better movie than either Avatar or Life Of Pi, and it's far more exciting that a survival horror film, set in space, is one of the frontrunners in the crushing predictability that usually characterises the Oscar race. It's a taut thriller that boasts award-worthy performances alongside groundbreaking technical achievement, and an instant classic in the annals of sci-fi cinema. I can't say that this will take home Best Picture at the Oscars, but if ever a genre film was going to win, this would be the one. Gravity is now showing, in 2D and 3D, at cinemas nationwide. If you've seen Gravity, why not share your comments below? I'm dying to see this one in IMAX, so I'm especially interested to hear from people who've seen it there already.